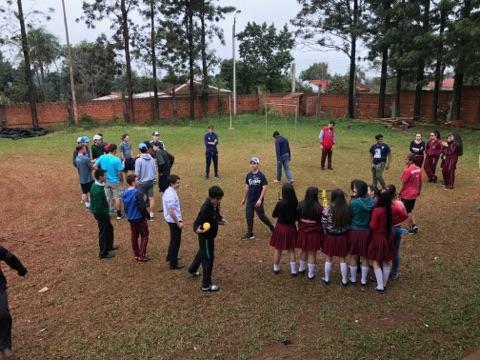 This summer, Marquette University High School and St John’s Jesuit High School participated with Courts for Kids to collaborate with the people of Paraguay. On the morning of July 28 at 3:00AM, we left the MUHS parking lot for a ten-day journey that would take us 5,000 miles away from our high school. With suit cases on our laps and unanswered questions in our minds, the nine of us all packed into a single school van and began the first leg of our journey to O’Hare Airport. Our drive to the airport was quiet, some of our minds were full of anxiety and uncertainty while others were excited and optimistic. The first flight of our day took us to Newark where we eagerly awaited our partner school Saint John’s Jesuit High School. 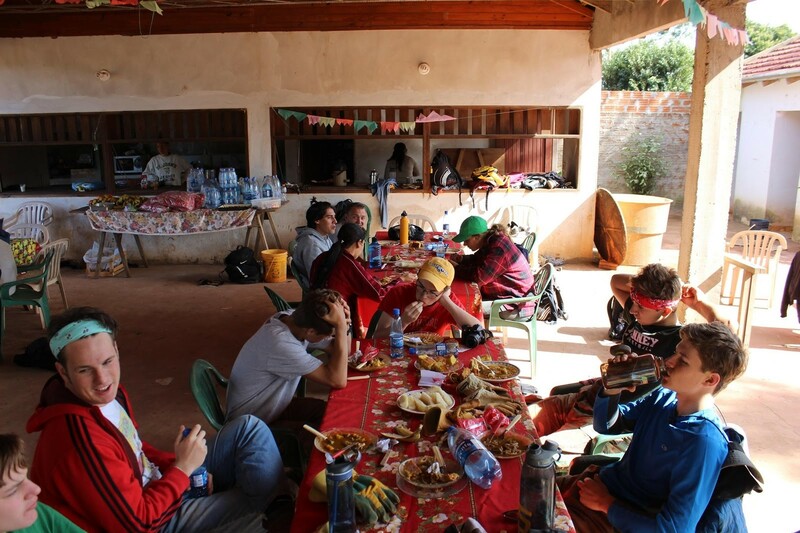 When we saw them for the first time most of us felt intimidated and bonding was difficult. Despite the awkward atmosphere, it was our first step toward working as a team to complete the court. We soon began interacting when we boarded our flight to Panama City and realized we were leaving an hour behind schedule. 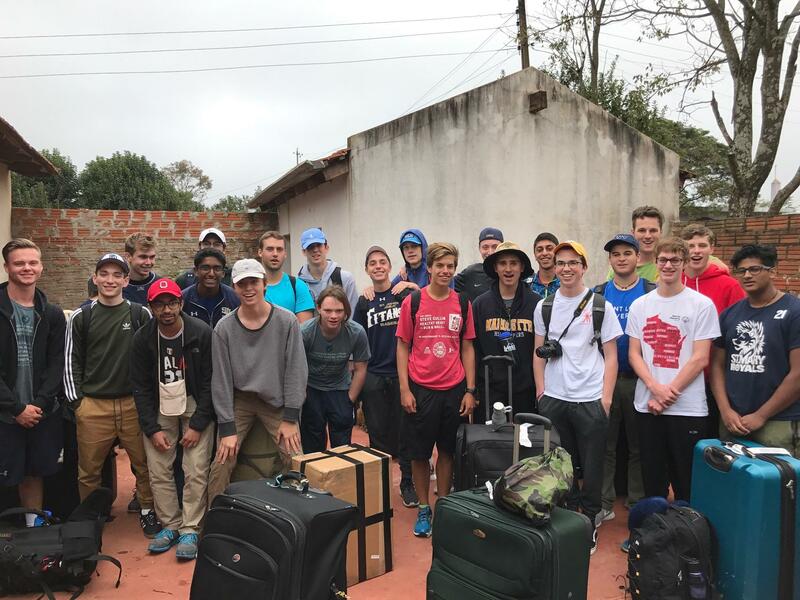 Our trip’s momentum was quickly halted however, when in Panama City, due to ticketing errors, all of the SJJ students were denied boarding. 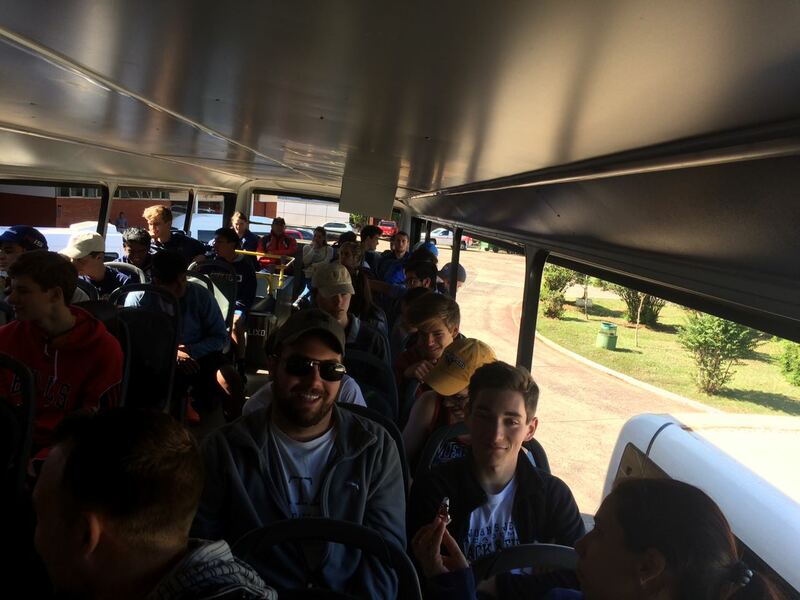 Although this delay meant our arrival at the site was going to be late, it allowed us to spend the day in Asunción while we waited for Saint John’s to come on another flight. 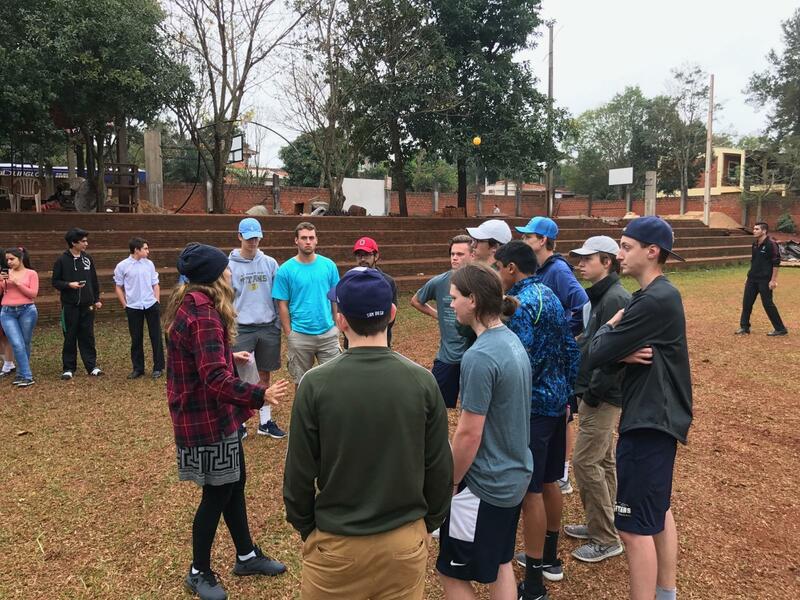 Our day in Asunción gave us an opportunity to explore Paraguay’s capital city and practice our Spanish in the marketplace. 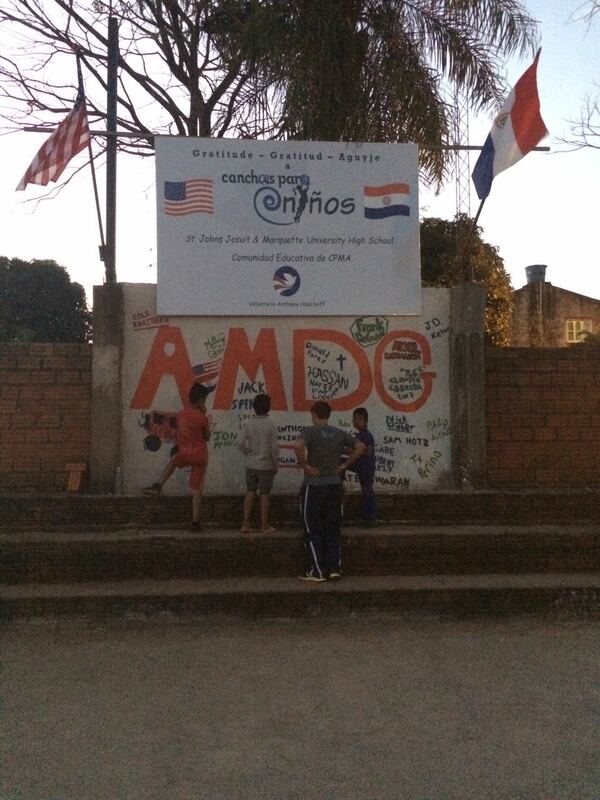 Upon Saint John’s arrival at 11 pm, we left Paraguay’s largest city and began our long drive through the night. 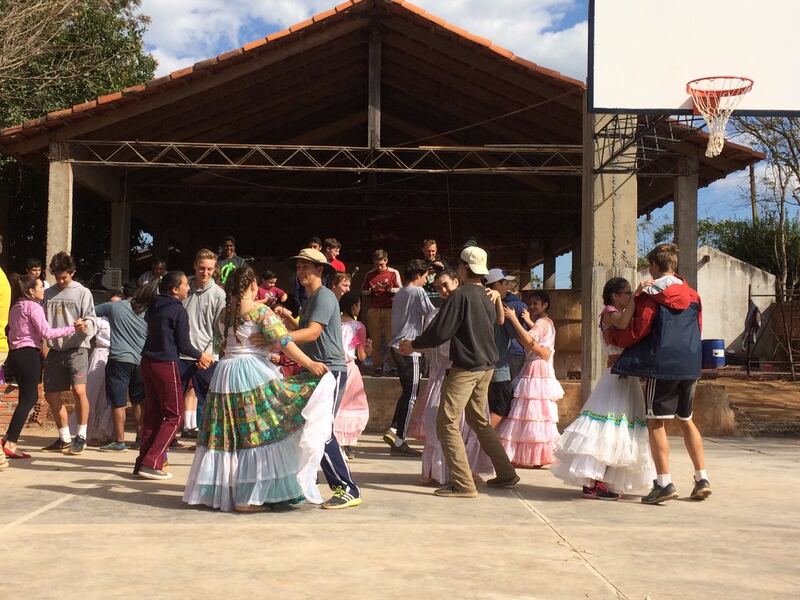 After two full days of travel—nearly 52 hours in total—our group arrived in María Auxiliadora. 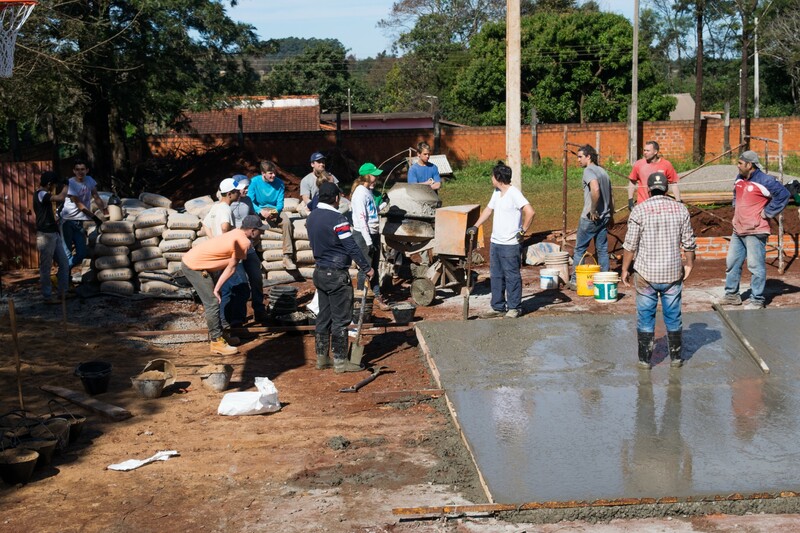 On our first day we completed one of nine concrete slabs that would ultimately become the court. 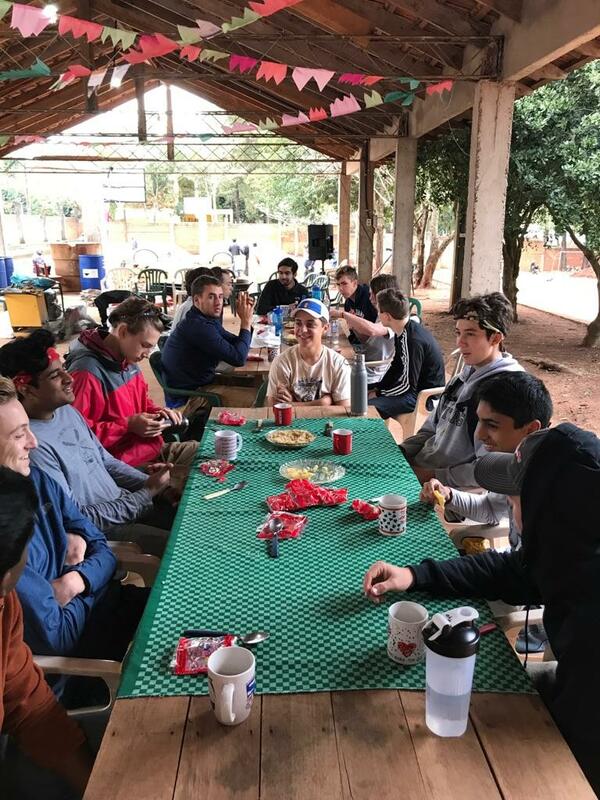 Throughout the entire trip the locals treated us with incredible hospitality—whether it was cooking us meals, providing us with a place to stay or offering us a cup of mate while we worked. On the second day, with two concrete mixers running simultaneously, we poured four slabs—completing nearly half of the court. 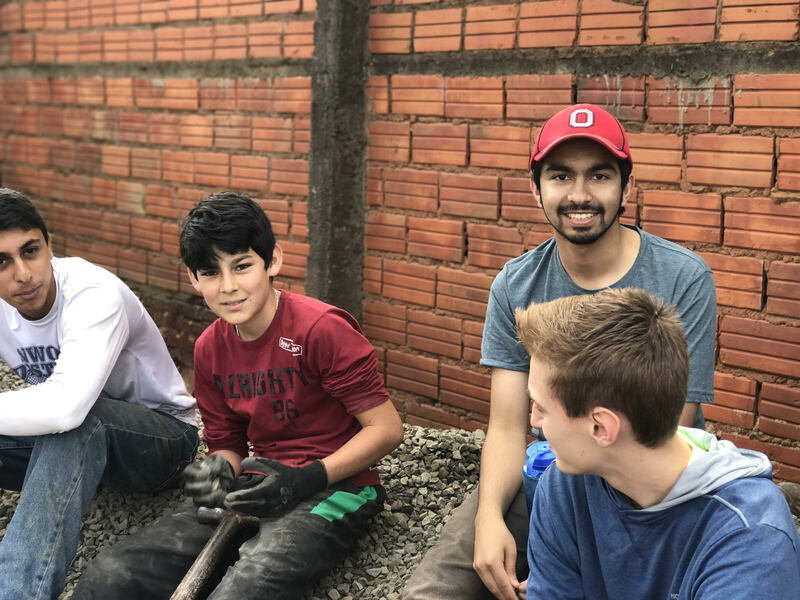 The work itself was not mentally taxing, however by the third day we understood how physically exhausting our endeavor was going to be. Pouring the two ends of the court required us to carry the concrete bags around the already completed slabs, further it meant the mixer needed to be lifted into place and maneuvered around the basketball hoops. Although the two ends of the court totaled only four slabs they took us two full days. 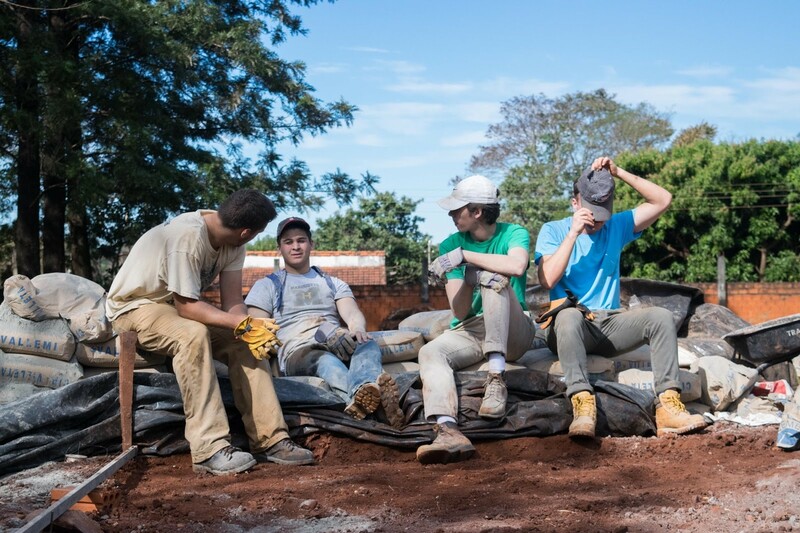 As each day wore on the bags of concrete felt heavier and the buckets of rocks seemed larger, but our group rallied behind our common goal of a completed court. On the afternoon of Monday, July 3, we all watched as the final batch of concrete rolled out of the mixer and filled the last gap in the court. 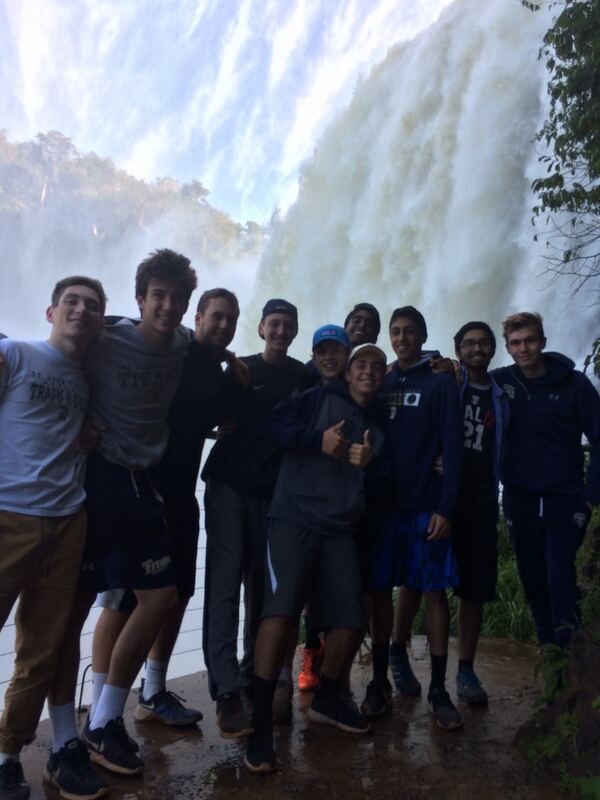 The following day we left María Auxiliadora and visited Ciudad del Este, waterfalls and the Itapúa Dam. That same night we found ourselves missing the United States as we discussed what our families were likely doing for Independence Day. Longing for something to remind us of home, we searched for fireworks, sang the Star Spangled Banner and ate chorizo in place of American brats. It was in this moment that we recognized what we truly missed was only superficial. The unfathomable distance between our two countries did not measure against the immense similarities we shared. 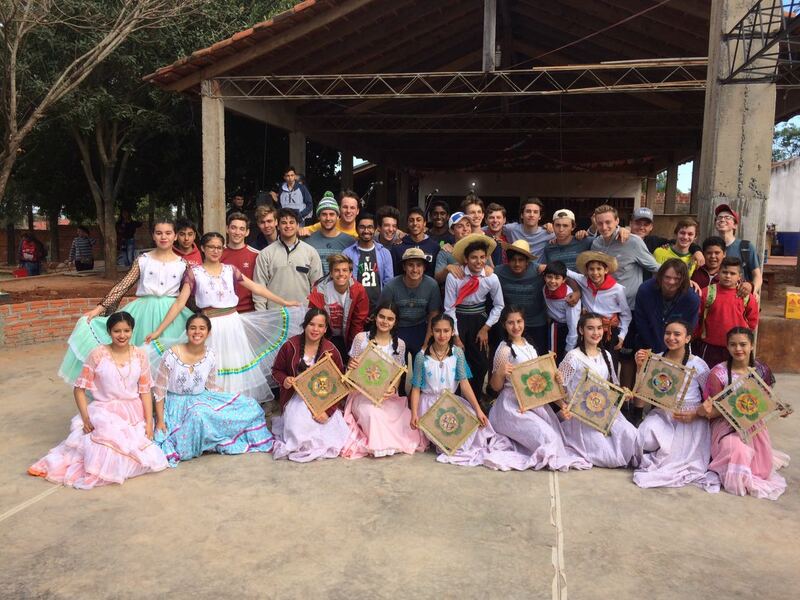 Although Americans might celebrate different holidays than Paraguayans or eat different foods, both cultures ultimately hold the same desires: to love, to be loved and to work toward a brighter future for their children. Oftentimes we lose sight of these existential truths when we become overwhelmed by our superficial differences. Looking past shallow dissimilarities, like food or holidays, better equips us to arrive at a more thoughtful understanding of our differences. Love and an undying hope for the future have no language or native nation, rather they are innately human: it is this lesson which continues to be the trip’s greatest gift. “Together, all things are possible. This court testifies to the power of many groups working together for a common goal!” – Fr. Tom Manahan S.J.